Herbsmith ground flax seed contains Omega 3’s that support the health of joints, the cardiovascular system, and the skin/coat. Cold press milled for an extended shelf life! 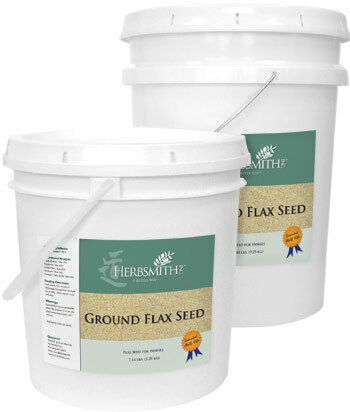 Herbsmith ground flax seed is also available blended with some of our most popular formulas for ease of administration. Direction for Use: Feed one to two scoops of Herbsmith Ground Flax Seed per horse daily. One 3 ounce scoop included.